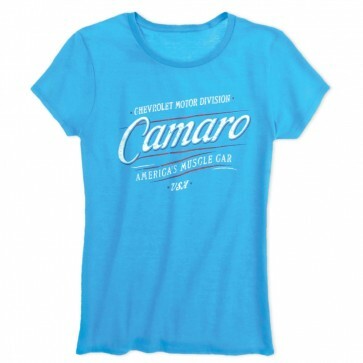 Colorful and soft, this semi-fitted silhouette short sleeve tee has both the look and the feel. Stylishly printed with lightly-distressed Camaro graphics. Rib-knit neckline. 100% cotton. Imported.